Students brainstorm design elements to incorporate into the overall design. What is your favourite childhood memory? Was it sitting in your family room watching TV all day? Or was it going to the park to catch frogs in the stream? Maybe it’s climbing your favourite tree in your yard and seeing how much higher you can get each time. What about going outside after it rains to make mud pies and trying to convince your parents it’s actually chocolate? Whatever it may be, chances are your favourite childhood memories took place outside. And that’s the fuel that drives the efforts of Come Alive Outside (CAO). For the first time ever, this generation of children is expected to live five years less than their parents. Come Alive Outside is on a mission to get people off the couch and back into their communities. One of the ways they achieve this is through the annual Come Alive Outside Design Challenge. 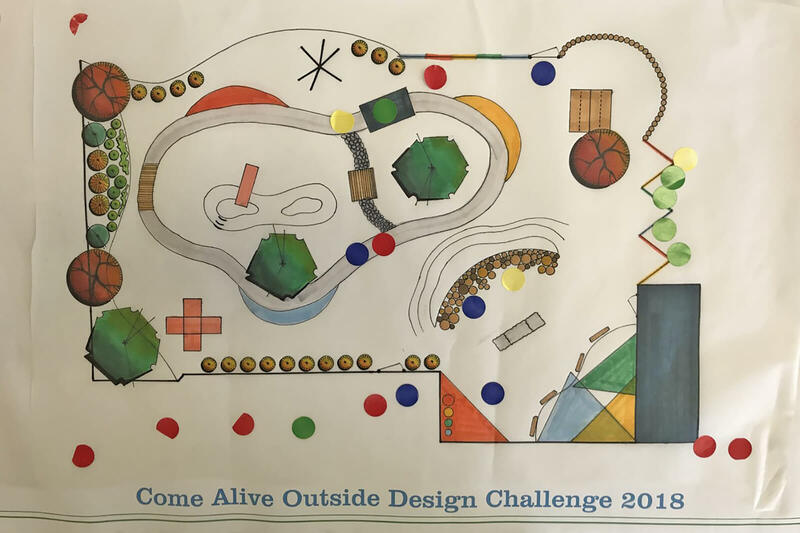 The CAO Design Challenge creates the opportunity for college, high school, elementary and preschool students to work together with seasoned landscape professionals to design and build engaging, outdoor learning environments at schools and childcare facilities. 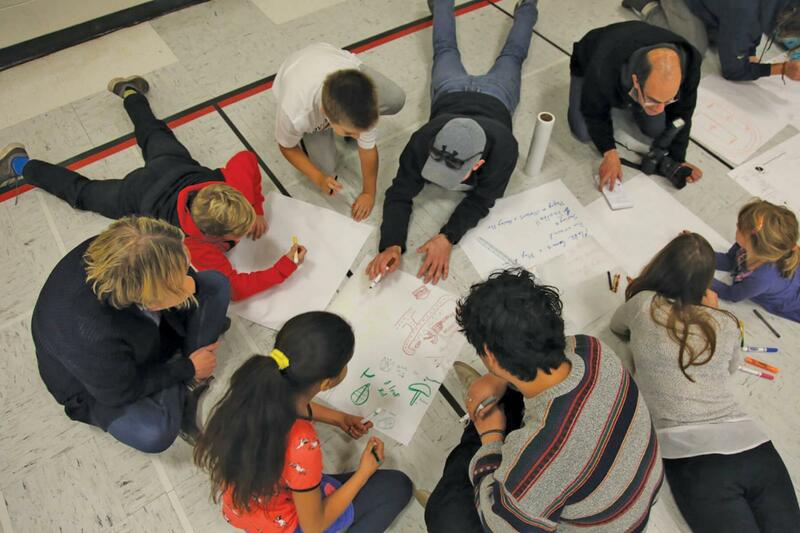 This year, Wentworth Landscapes hosted its third annual Design Challenge, Oct. 18-20, at Georges Vanier Catholic Public School in Belleville, Ont. The property also includes the First Adventure Childcare Development Centre. The post-secondary schools participating this year included: Guelph University, Algonquin College, and Niagara Parks School of Horticulture. A handful of students from the Landscape Design programs in each of these schools joined us for the three-day design charrette. 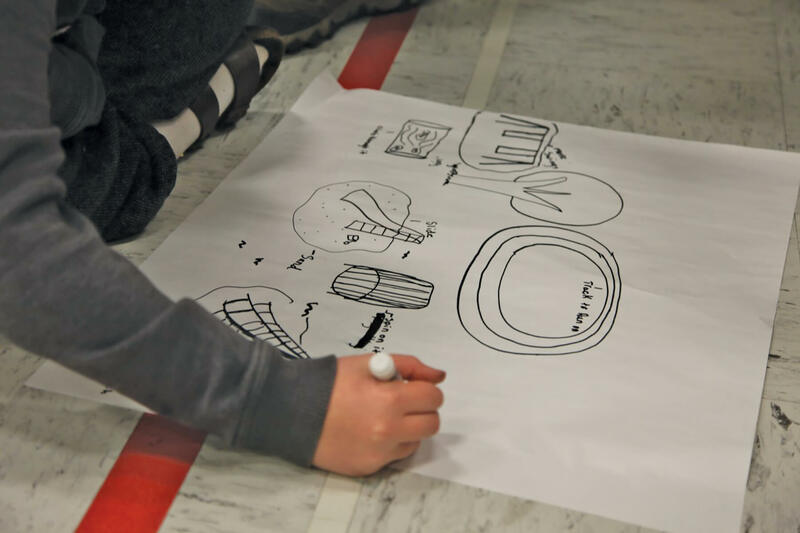 The task of the students over the three days, was to design a landscape plan for the entire schoolyard at Georges Vanier that included an initial phase to be built in 2019 at First Adventure. They were also given a budget of $60,000 for the First Adventure portion. The Design Challenge started with a tour of another First Adventure Campus that Wentworth Landscapes had previously designed and built. This allowed the post-secondary students to see how children moved through and utilized the space. The rest of the evening was spent learning about the program, the why behind it, and getting inspired to create imaginative spaces for children to get excited about going outside. Students of all levels learn and share with each other. On day two, the post-secondary students were taken to the schoolyard at Georges Vanier to tour the site and to gain insight as to how the schoolyard is currently being used, what the teachers think is missing, what is important to the students, and to even observe the children in their space. But who better to dictate what should be in the schoolyard than the children themselves? 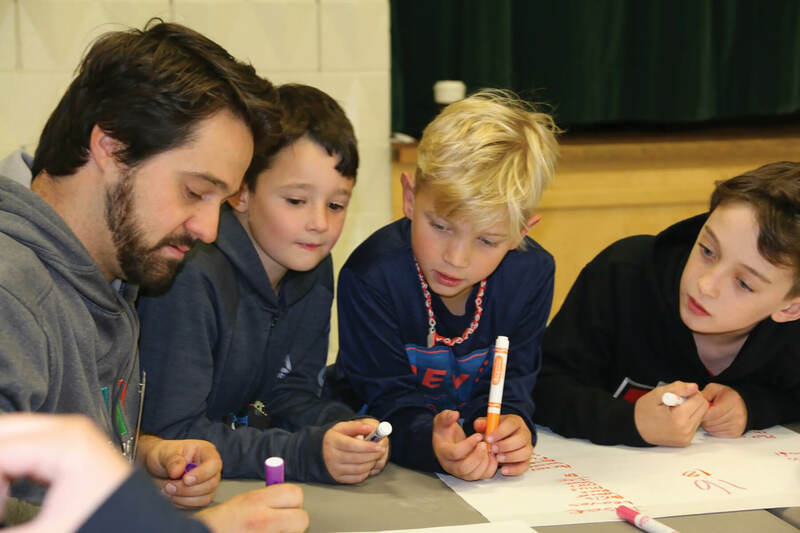 Following the tour, the post-secondary design students moved inside and began the initial design concepts with input from pre-kindergarteners through to eighth graders. This is one of the most inspiring components of the Design Challenge as you get to see imaginations run wild. Students are sprawled across the floor, with big sheets of paper and markers, and college students right there with them, unafraid of getting down to the kids level to imagine the space with them. The children drew zip-lines, tunnels, and obstacle courses with trampolines, sandpits, and even a Big Foot. Having all the elementary grades participate in the Design Challenge is so important because students of different age groups bring unique outlooks and experiences to the playground. On the flip-side, college students are exposed to a real-life experience. They have a real space to design with real challenges, a budget, design criteria, real clients, and above all, a real outcome. Once the younger students return to their classrooms, the college students begin working through the children’s sketches, asking themselves, “What are the main components?” For example, was it the zip-line? If so, what is the “why” behind that piece? What is the feeling that gives to the children? And, how can we apply that in a way that adheres to playground guidelines? Another element design students must also consider is that they are creating an experience in which children of all abilities can use and grow their skills. Some students are non-verbal, others have physical challenges. They must give all children an equal experience, also providing those with challenges an opportunity to communicate or move in ways they are able to. From there, students refine these concepts and start thinking about materials selection. One concept might be a sensory pathway system made up of many textures and colours that allows all students to access every part of the schoolyard. Another feature could include a way of tying play features back into curriculum, such as an outdoor classroom made of boulder seating that can also be played on at recess. Creativity and imagination are encouraged throughout the process. Following the intensive three-day event, each college and university team then returned to their respective school and put together a final design and submission package that was due December 3. Wentworth Landscapes, Georges Vanier, and First Adventure are now in the process of reviewing those submissions and will select a winner that will be announced on January 8, 2019 at the annual Landscape Ontario Awards of Excellence ceremony. The CAO Design Challenge is an energizing and exciting event that helps to inspire people to get outside and enjoy the outdoors while at the same time helping to boost their overall health and happiness within the community. It’s both rewarding and thrilling to see the original space reimagined through the fresh and creative minds of passionate students. It’s an opportunity for us to learn how young and aspiring designers approach spaces differently. Designs are showcased at an open house to the local community.